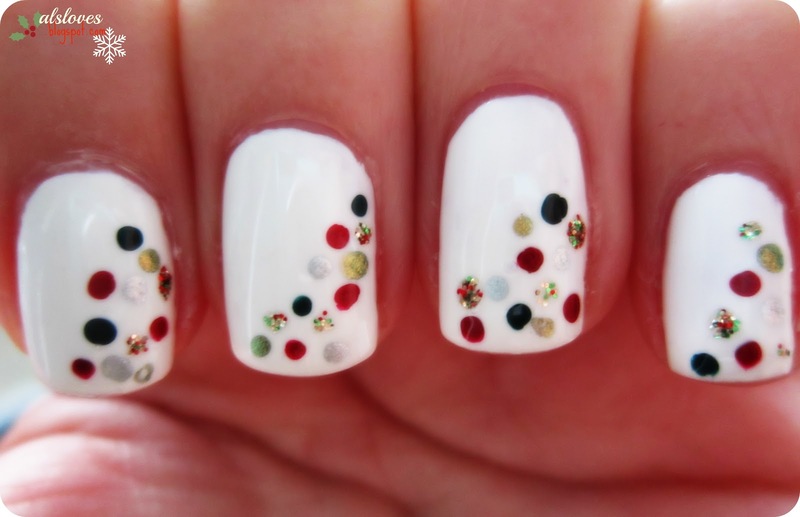 It's very simple to do on your own, if you have a dotting tool or a toothpick! Now that I have a break in school I hope to show you my holiday nails looks everyday until Christmas, and other things! What a cute and simple festive look! Love it!